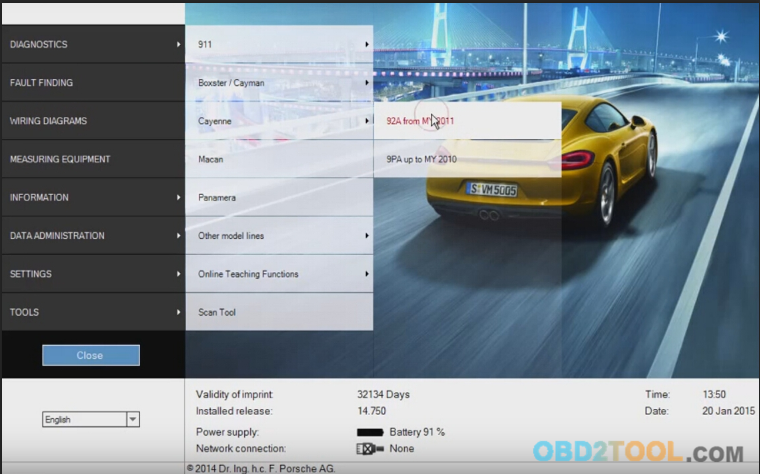 With the hot sale of Porsche Piwis Tester 2, we have accumulated too many comments for Porsche Piwis tester 2, below we share the clients’ Porsche Piwis tester 2 reviews below as advice for Porsche Diagnostic Tool Piwis tester. Piwis tester II for my Cayenne 2011 work perfect, I purchase it for my own, I was looking for Piwis 3 before, sales representative Emily suggest me Porsche Piwis 2 is enough for my need, and offer me the user manual for the guide. Thanks for customer service. 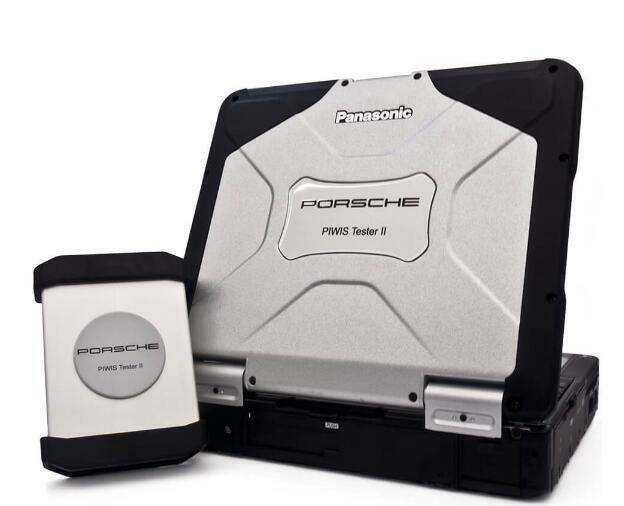 I get the complete professional Piwis Tester 2 Porsche Diagnostic Tools kit for a Porsche Cayenne Turbo 2003. If the kit can function for multiple other véhicule that would really good to but it must be specifically functioning on The Porsche Cayenne Turbo of 2003-2004. 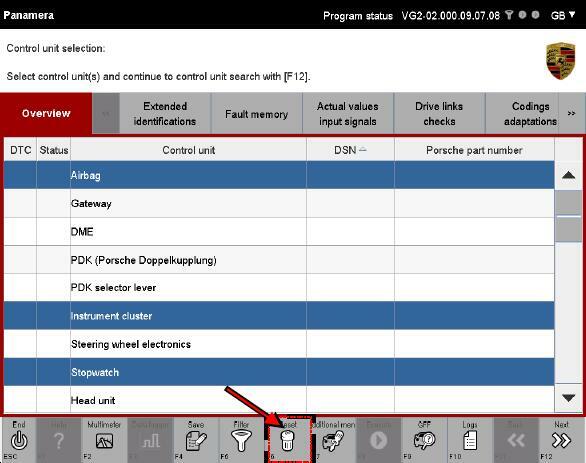 The Porsche Piwis tester II kit is to be able to perform all necessary troubleshooting, repairs, and services as Porsche would. Including Engine and all auxiliary systems. 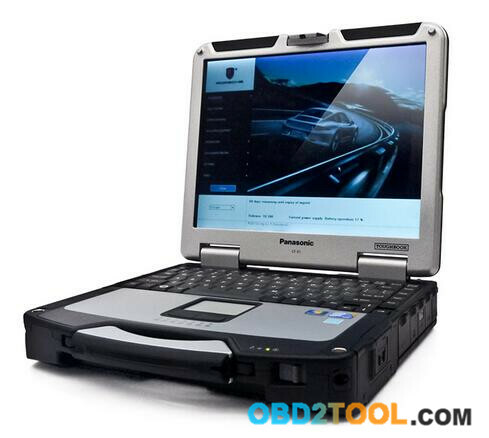 Hello, I’ve got a Professional Diagnostic Tool Porsche Piwis Tester 2 software V18.100 update software download link, from the instruction you offer, I need to burn the files into DVD, right? I prefer to order new Porsche Piwis Tester 2 HDD for my Porsche Piwis Tester 2 , more simple and easier, you know I have pool knowledge for operating. Anyway, thanks to your excellent warranty as promise! 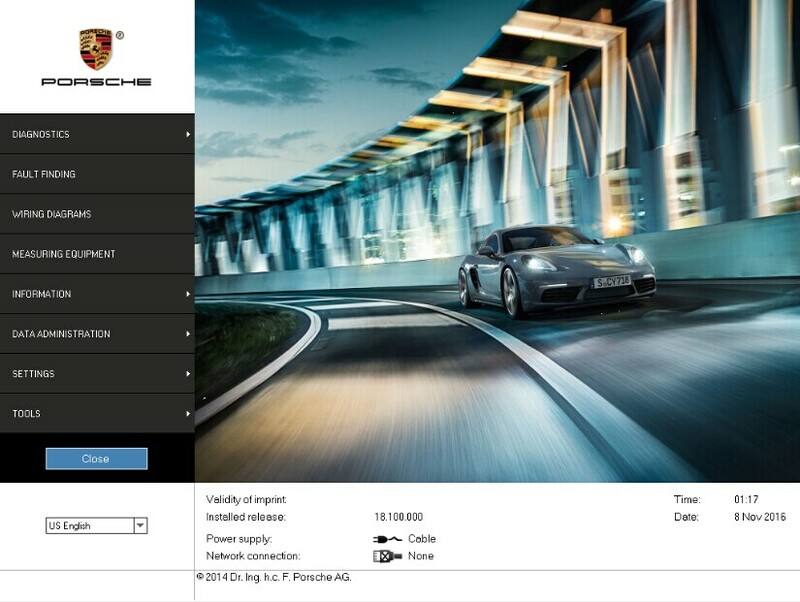 We will post more Porsche Piwis Tester 2 more reviews later, any question about Porsche Piwis Tester 2 before your order just inquiry us freely. Thanks! 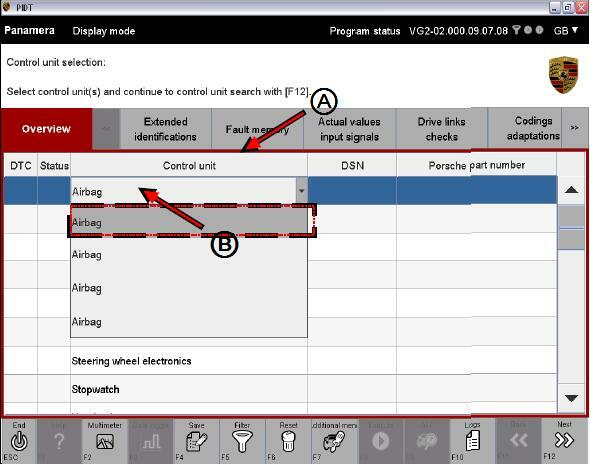 This section of Piwis Tester II describes how you can display the control units installed in the vehicle in a control unit overview by means of a control unit search. The basis for this is an existing ODX project in which the control unit-specific data is stored. 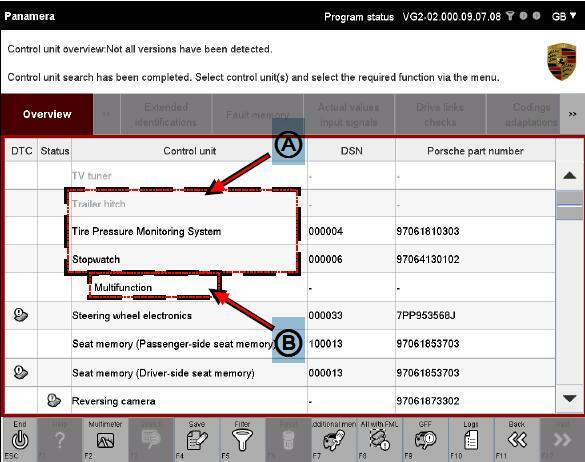 The system must check whether a control unit of the project is installed in the vehicle and what variant this is. 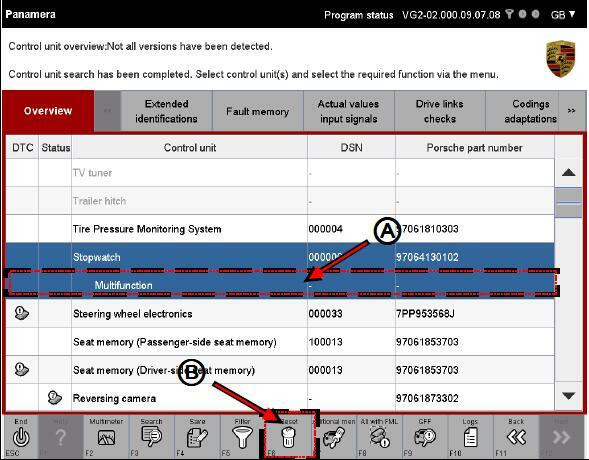 After a user action, the diagnostic application first performs a control unit search. 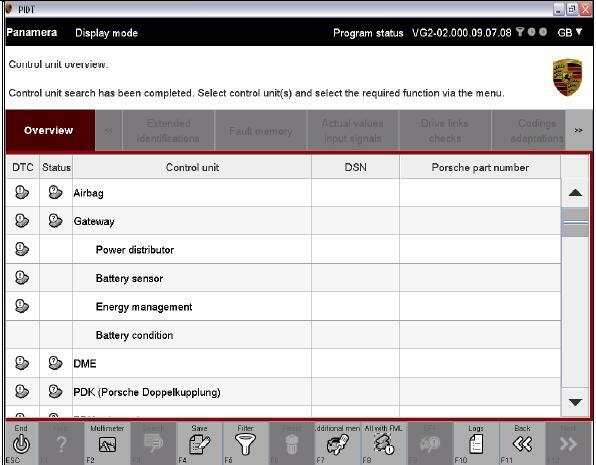 The list of all or selected control units and their status is then shown in the control unit overview. 1. 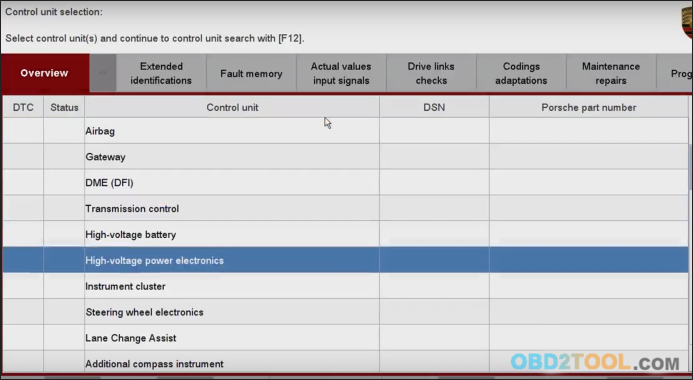 After the application has been started successfully, the list of control units for the respective ODX project is displayed in a control unit list. 2. Select the desired control units by marking them. If you would like to deselect a selected control unit again, click again in the corresponding line. 3. The complete selection can be cancelled again by pressing the <F6> button. 4. 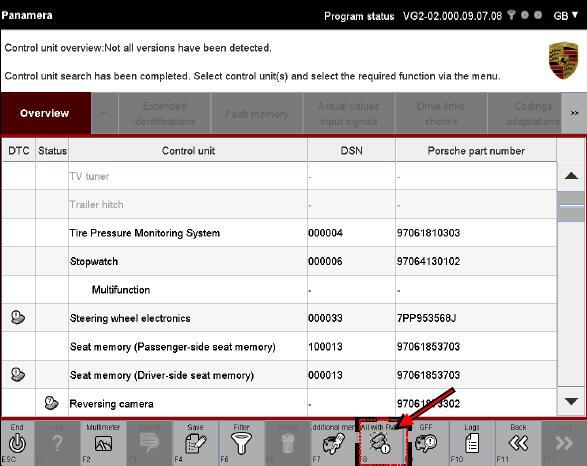 Then press the <F12> button to start the control unit search. The system now checks which control units or selected control units of the project can be addressed. 5. 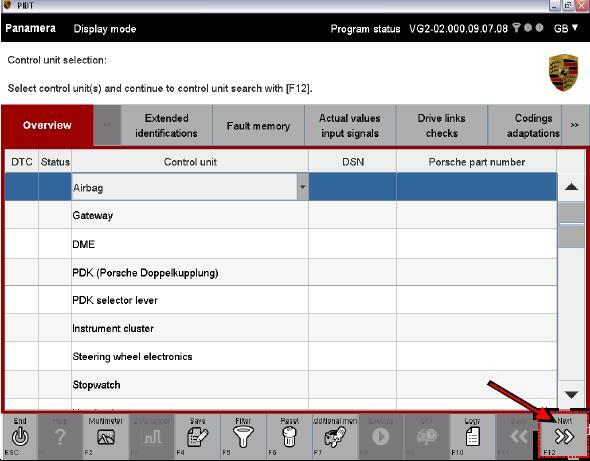 If you would like to perform a control unit search for all control units, press the <F12> without previously selecting a control unit. The Porsche PIWIS TESTER II system then checks which control units or selected control units of the project can be addressed. 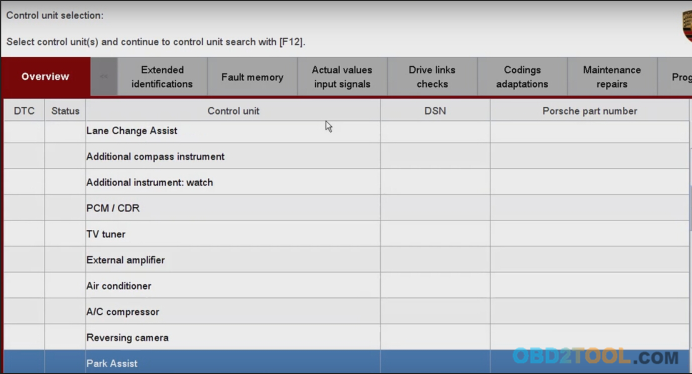 The list of addressable control units is then displayed in the control unit overview. Depending on which selection variant you have selected, the list is displayed similarly to the list form shown in step 6 or step 7. 6. 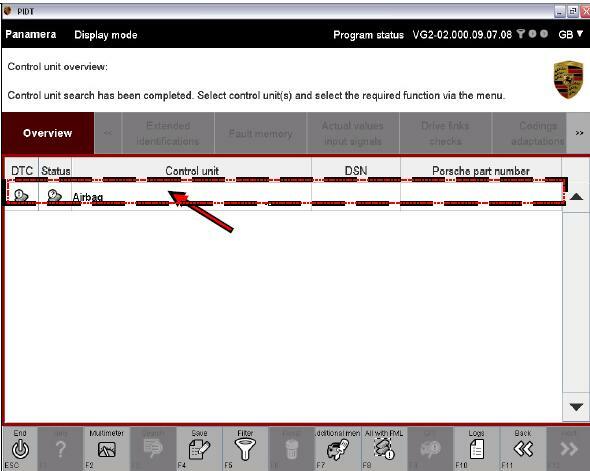 Display with previous selection (variant 1): Control units that were previously selected in the control unit list and are addressable are already preselected in the control unit overview. 7. Display without previous selection (variant 2): All addressable control units are displayed. The control units are not marked. Control units for which no variant is detected are identified by a icon in the Status column. The data of the basic variant is displayed for control units that are labelled in this way. 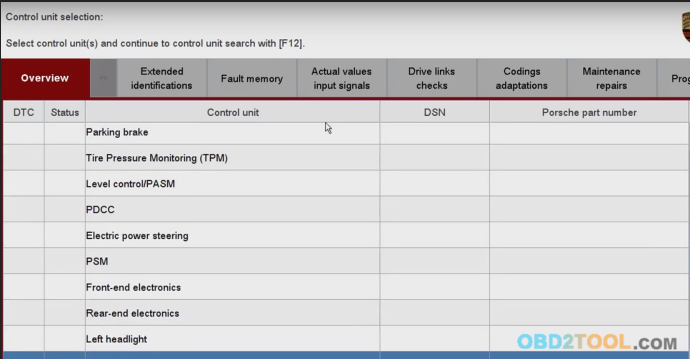 Control units that have a fault memory entry are identified by a ! icon in the DTC column. 8. 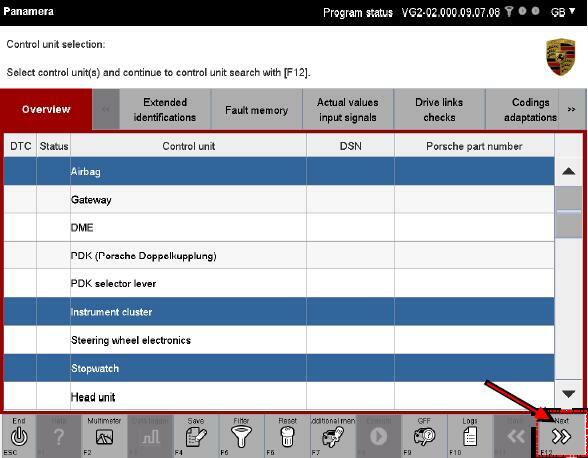 If it should not be possible to establish communication with a control unit, this is indicated by dashes in the list after the control unit name (A). These Professional Diagnostic Tool are greyed out and cannot be selected. Subcomponents of control units (so-called ECU-subcomponents) are shown indented below the respective control unit (B). You can work with these subcomponents in the same way as with the regular control units (also see additional information below). If a higher-order control unit has subcomponents and you select a higher-order control unit and then change to a different function group or function, all subcomponents are implicitly selected as well. However, if you mark a subcomponent or several subcomponents and then change to another function group or function, any further action will be performed only for this selection. Battery condition,Main fuse box, Intelligent battery sensor, Electric energy management (eEM) In contrast, if you have selected only the subcomponent Intelligent battery sensor and change to another function group, only this element is made available for a further action in this function group. 9. 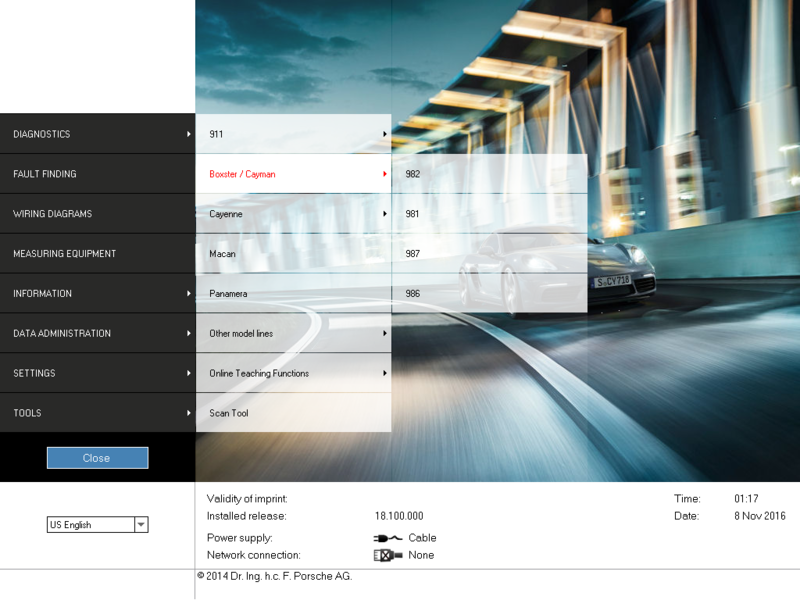 Now select the control units for which you would like further information from the list of control units. If you would like to deselect a selected control unit again, click in the corresponding line once more(A). The complete selection can be cancelled again by pressing the <F6> button (B). 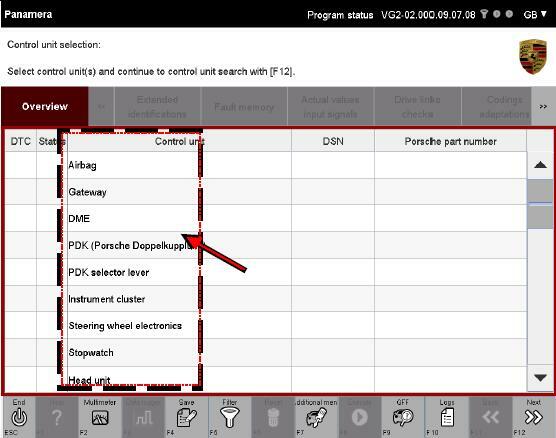 * All function groups are available if you have selected at least one control unit or one subcomponent. * No function group can be selected if you have not made an explicit selection. 10. Press the <F8> button if you wish to select all control units that have a fault memory entry. 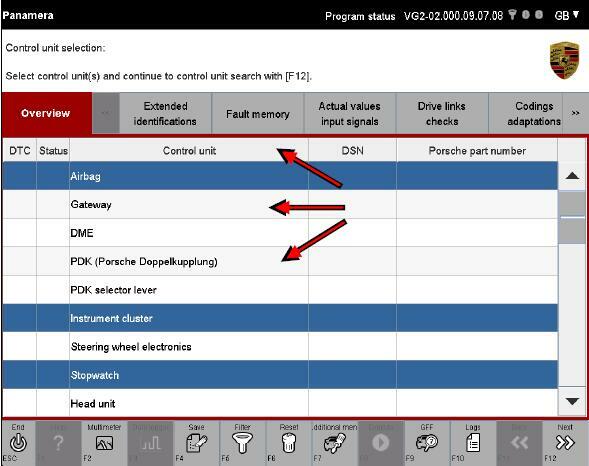 If diagnosis if performed in View mode, there is no communication with the vehicle via a VCI. omitted as there is no vehicle communication. 1. 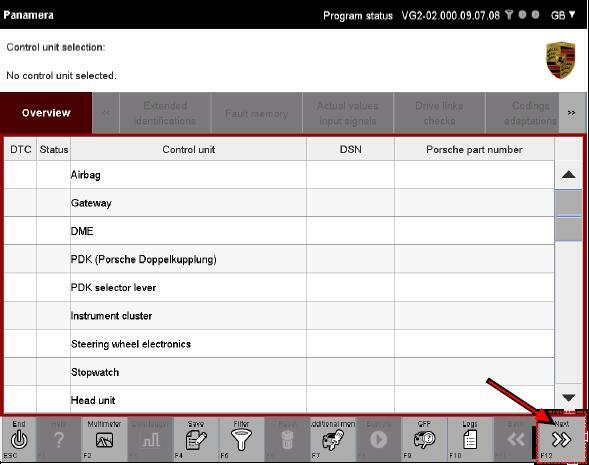 Click in the Control unit (A) column for the respective control unit and select a control unit variant for each control unit via a drop-down menu (B). If you would like to have the basic variant displayed for the respective control unit, select the first/top entry in the drop-down menu. The complete selection can be cancelled again by pressing the <F6> button. 2. Then press the <F12> button. 3. 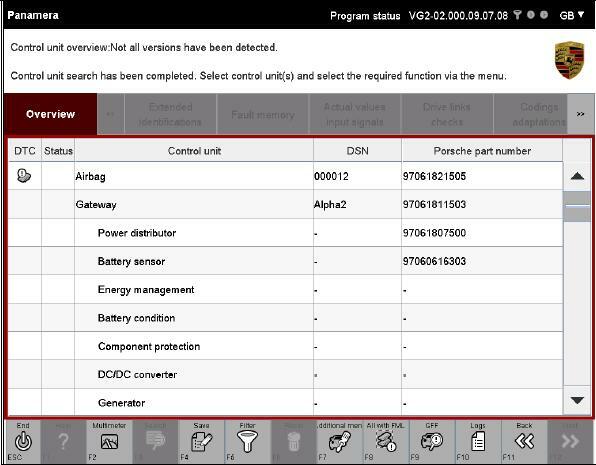 All selected control unit variants or control unit basic variants are displayed. 4. 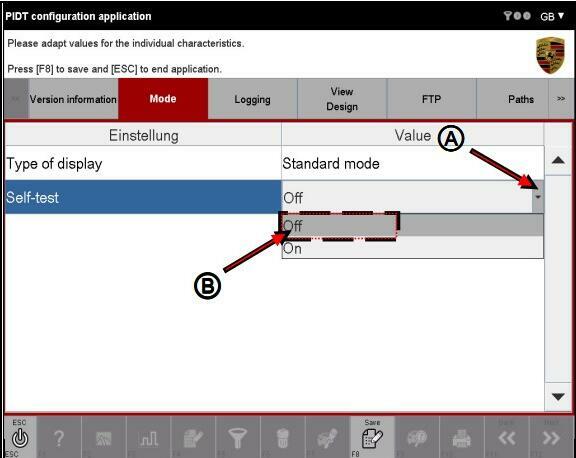 Do not select a control unit if you would like to have the basic variant displayed for all control units. Then press the <F12> button. 5. The control unit basic variants are displayed. 1. Select “special functions” and do a “vehicle handover”. 2. The “vehicle handover” runs automatically. When prompted if the car is new, select “no” and then confirm your chassis number (VIN). 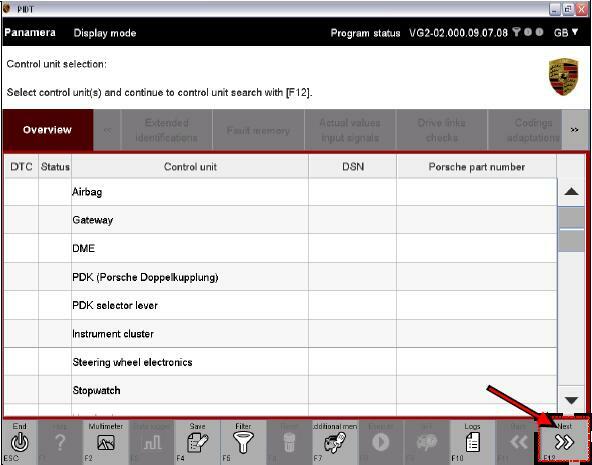 The “vehicle handover” is needed for recognizing your new steering wheel unit, so that all other control modules are able to communicate with it. 3. Select to “steering col. switch” unit and read and erase all fault memories. Then switch to “codings” and set “Automatic (Tiptronic/PDK)” and “PDK” (both!) to “installed”. 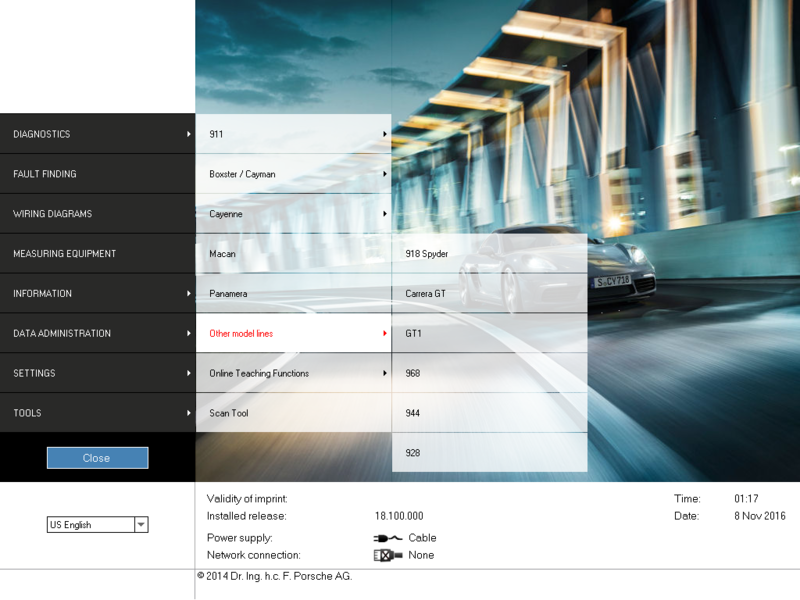 Also set all your other values to “installed” if the car is equipped with them (for example speed control system). PS: Famous OBD forum mhh Cartechlogy AP recommended version! 2. Full access to porsche Development verison! 4. Bluetooth, GPS and Navigation Function are available. can modify in Engineer mode. 5. Certificate is well installed, our Piwis II supports Online Functions, only two functions need to work online: Teach keys immo function and Parts protection function. 2. This Piwis2 we sell is best quality and it is Semtec Hardware, which is 100% same as the porsche dealer has, not J2534 hardware, the J2534 FTDI hardware comes with different PCB, and it has no certification make it is not able work with all modules, not support online functions. The new Panamera can only be diagnosed by using this Porsche PIWIS Tester-II. Based on current project planning, all earlier vehicle models will gradually be changed over to the new PIWIS Tester-II by the end of 2010. 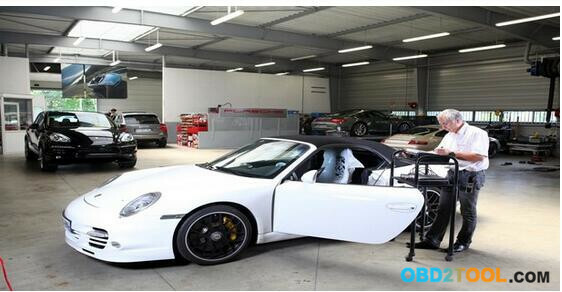 PIWIS Tester-I must be used for older models in the Porsche workshop until end of 2010. 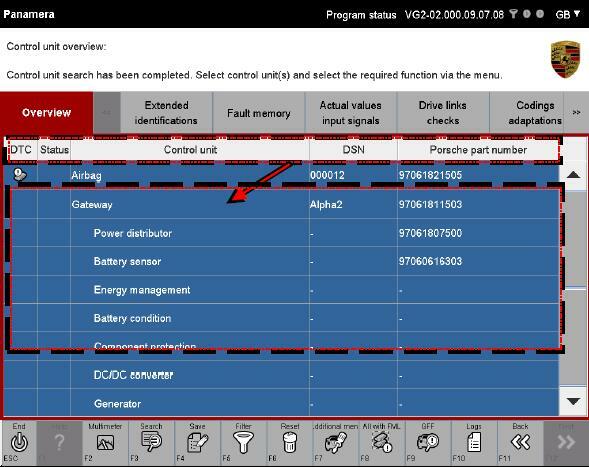 Coverage all Porsche vehicle with OBD (Panamera & New Cayenne), Car Diagnostic Tool PIWIS II main functions General ECU diagnostics (DTC read/clear) Guided fault finding ECU programming/coding Real-time control parameters display Electrical schematics mapping.